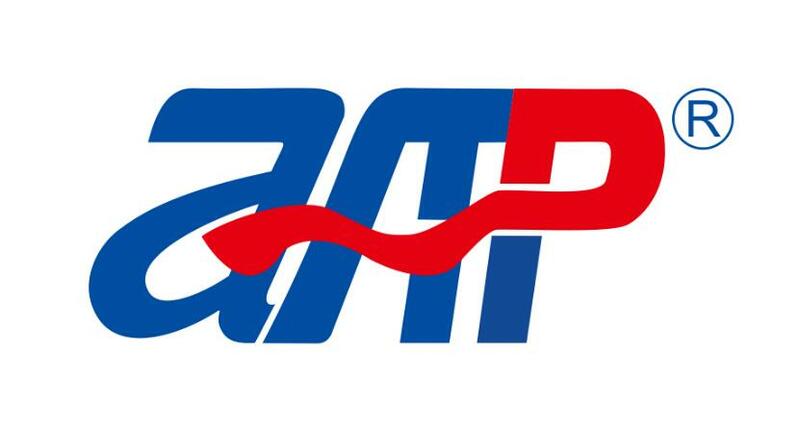 APM AC source adopt existed high level power source DSP+CPLD control technology to strengthen internal data and logic calculation ability. Control is faster and product operation is more stable. 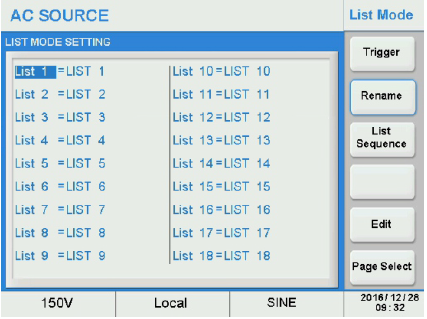 It is available for quick setting and loads various of waveform. At the meanwhile, it support remote software upgrade. It could generate different waveform for analyzing. Built-in PLD Testing function make test more convenient. power grid/power source output waveform in different disturbed condition. Pulse Mode could modify effect to equipment cased by pulse. 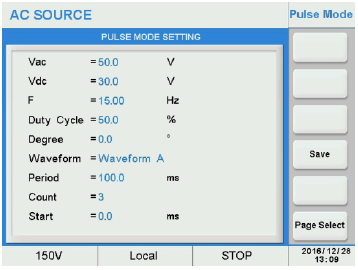 It could set different parameter of pulse like voltage, frequency, duty ratio of impulse waveform, angle and operation time. It is available to have voltage drop test and power grid low frequency interference test. 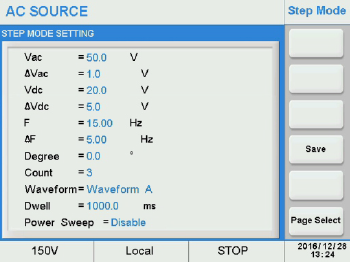 Step Mode could modify effect to equipment cause by gradually change voltage/frequency. It could set different parameter like stepped voltage, frequency, angle and operation time. It equipped with power sweep function so that it could anti-interference test of voltage fluctuation. 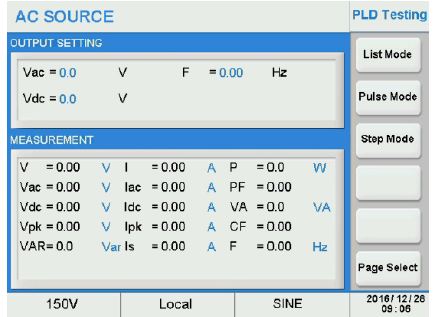 Except powerful waveform Simulation, APM AC source has high efficiency, high reliability and high accuracy. It is also cover screen touch and button which make it easy to operate. It also built in surge and trapped wave function. At the meanwhile, it also built in IEC61000-4-11/ IEC61000-4-14/ IEC61000-4-28/ IEC61000-4-13 standard waveform which could modify usual or unusual input power for electric equipment. It could meet the demand of input power test. With advanced measurement function and ability to parallel instantly, it could provide actual sine wave power. Thus, it could applied in various filed like lightning, aerospace equipment as well as production test in manufacture. It is the best choice for Component testing.